It has been a few years since the U.S. Federal Bureau of Investigation (FBI) shut down the online illegal drug marketplace Silk Road in 2013. If you have not heard of the Silk Road, it can be easily explained in just a few sentences. It is possible to conduct business transactions online that are next to impossible to trace through the use of internet service provider anonymity software and the use of Bitcoins—a form digital currency that is hard to trace. People looking to buy illegal drugs online would use such tools to access the Silk Road marketplace which operated in what is known as the dark web. Over the course of years, billions of dollars in bitcoins were exchanged for illegal goods, such as heroin or cocaine. When the FBI managed to arrest the Silk Roads creator and shut down the site, it was hailed as a bittersweet victory, because what came afterwards was arguably much worse. As opposed to having one major dark web marketplace, scores more arose in place of the Silk Road. The FBI now is charged with looking at dozens of these illegal marketplaces, many of which were founded by people overseas. And it may be fair to say that shutting down the new drug dealing websites is much more difficult and in the meantime millions of dollars in illegal drugs are being sold online. In fact, RAND Europe, a policy research institute, conducted a study on what are now being referred to as cryptomarkets around the world, The Wall Street Journal reports. The organization identified 50 such marketplaces which are primarily run by drug sellers in the U.S., Australia and the U.K. Their research indicates that transactions have tripled and revenue has doubled since 2013 at the closing of the Silk Road. The most popular new cryptomarkets are raking in between $12 million and $21.1 million per month. These types of sites are particularly concerning because practically any adolescent with a computer and internet access can buy illegal drugs online anonymously. After purchase, the drugs are then mailed to one’s house in benign packaging that may not look suspicious to parcel services and parents. 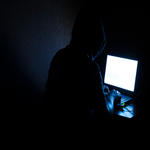 As it seems evident that the dark web is not going anywhere, and these types of cryptomarkets operate with impunity, parents should be vigilant when it comes to what their children are up to on the web.